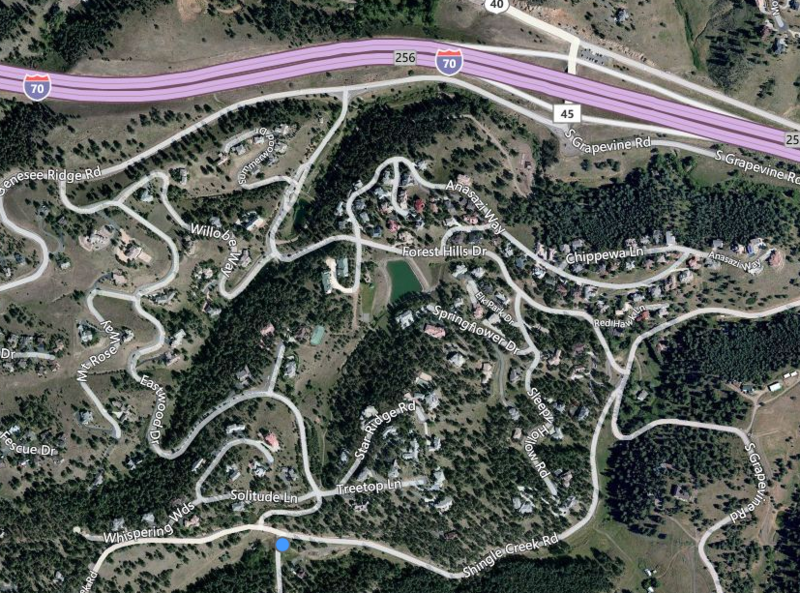 While some of our neighboring communities are a lot of long, narrow roads and winding turns away, Riva Chase is right off I-70 and right on, when it comes to luxury mountain living. 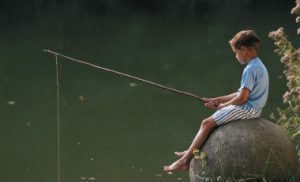 In the center of the neighborhood is a quaint fishing pond, which is stocked with catch and release fish (Please make sure to first obtain a fishing license from the FHMD Administrator). Above the pond is a playground, large grassy field, basketball court and pavillion for BBQs and picnics. The hills of Riva Chase provide great exercise for biking, hiking, walking and running. 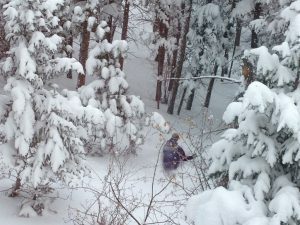 In the winter, residents can be seen cross-country skiing, snowshoeing and even doing a bit of downhill skiing (see picture in Photo Gallery of resident skiing in his backyard)! 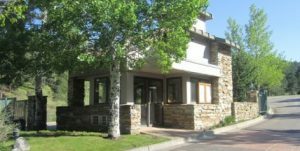 Furthermore, Riva Chase is very close to Golden and Evergreen, both of which have fantastic Parks & Recreation opportunities. Please explore the links below for things to do close to Riva Chase. When the Jefferson County Sheriff’s Dept. publishes a list of crime activity in this mountain region, RIVA CHASE shines with a clean record. Our local deputy sheriff, Crime Prevention Deputy Janie Gonda, assures us that our gates discourage trouble-seekers from entering the community. Residents also practice the Neighborhood Watch guidelines, being on the alert for any strange behaviors. The additional fact that we are Covenant Protected is also a plus for keeping our neighborhood safe. Jefferson County Sheriff deputies make periodic drives through Riva Chase, and are also available to do property and house checks for residents on vacation. This is just one more BONUS for living in this beautiful community! Riva Chase has many phenomenal choices for schools in the area! For a complete list of public and private schools within a 10 mile radius, please click on the National Center for Education Statistics. You’ll love our mild summers, cool nights and well-maintained roads. Yes, the foothills above Denver tend to get more snow than in town, but we have one HUGE advantage living here! We have our own private snowplow service – paid for through our taxes – that keeps our streets plowed as soon as we get even a few inches of the white stuff. Once we’re plowed, along comes the sand truck to help us gain traction on our hills and curves. The snowplow takes care of the roads all the way to Genesee Ridge Road, maintained by Jefferson county and then it’s clear to I-70, which is a primary route and well-serviced by the Colorado Dept. of Transportation. We are fortunate, indeed! While we can get in and out, many suburban communities NEVER see a snowplow! But even if you don’t want to get out, you can always snowshoe around the pond, or sip hot chocolate in the gazebo. Riva Chase is conveniently located just south of Interstate 70, providing easy access to both the city and the mountains. Take 6th avenue west to I-70 west. Get off of I-70 at exit 256 and take a left and cross over the highway. Take a right onto Genesee Ridge Rd. Take your next left at the large Riva Chase sign onto Forest Hills Drive. Take I-70 east towards Denver. Get off of I-70 at exit 256 and go right for a few yards. Take a quick right onto Genesee Ridge Rd. 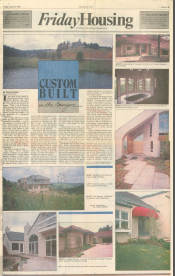 For a glance into Riva Chase’s History, check out the article from the Denver Post Friday Housing section on June 23, 1989. If you were to ask some famous guy like Donald Trump where Denver was, he’d probably answer with something like, “It’s just on the outskirts of Aspen.” Then, a lot of Monday Night Football fans back east also believe Denver is located in the very heart of the mountains (like Mt. Everest only colder) – at the epicenter of a perpetual snowstorm. But in reality, Denver is a Great Plains city with mountains – and mountain communities – right in the backyard. 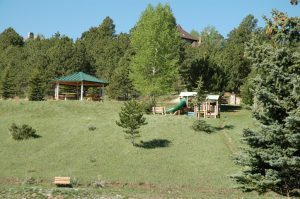 And while some of these communities are a lot of long, narrow roads and winding turns away, Riva Chase is right off of I-70 and right on, when it comes to what you would expect to find in luxury mountain living. For full article and pictures, please click here.